1. 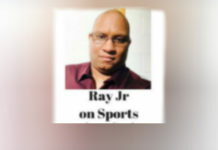 Ryan Shazier Update-In an interview by WPXI, Vernon Shazier, the Pittsburgh Steelers Pro Bowl LB’s father gave an update on his son and he states that his son is progressing and that he now has feeling in his legs. 2. Is Shazier Walking? When his father was asked that, he responded: “I don’t want to get into it a whole lot.” He also said when Shazier was injured Dec 4, he asked his dad to pray for him because he couldn’t feel his legs. I’m grateful for his progress, but football should be the furthest from his mind. 3. 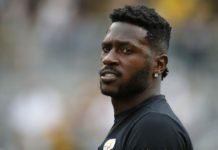 Antonio Brown Update-Apparently the NFL’s leading WR is progressing and he wants to play in their Divisional Round game, that he tried to practice last week as he continues to overcome his calf injury that he sustained against the New England Patriots. It’s an understatement that Brown’s presence will truly be a boost for the Steelers as they try to advance to their first Super Bowl since 2010. 4. Brown wins WR yardage title– He was doing so well, he didn’t have to play the final 2 games to win the yardage title. With 1,533 yards, Brown easily distanced himself from Atlanta’s Julio Jones (1,444) and LA Chargers Keenan Allen (1,393) It’s truly a good thing the Steelers signed Brown in the offseason. He would be a nightmare as a free agent. 5. JuJu-This rookie WR is the reason that the Steelers aren’t hurting much without Brown. I knew he was a draft steal from USC, but I had no idea he was going to make this much of an impact. Smith-Shuster finished the season with 58 receptions for 917 yards and 7 TDs. 6. JuJu also received honor-After he returned a kick for 96 yards for a TD, Smith-Shuster was named AFC Special Teams Player for the Week. A week ago, he was named AFC Offensive Player of the week. What a year by the Rookie. 7.Bell Receives Honor Too-Steelers RB LeVeon Bell was named AFC Offensive Player of the Month for his efforts in December. For the season, Bell wasn’t too shabby either as he rushed for 1,291 yards and 9 TDs. He also caught 75 passes for 655 yards. He truly is the modern-day Marshall Faulk. 8.Steelers Set Sack Record-It’s a true sign that the Steelers pass rush is back as they set the team record for sacks in 2017 with 56, led by DE Cam Heyward’s 12 sacks and Vince Williams 8. Rookie TJ Watt had 7, LB Bud Dupree had 6 and even Heyward’s backup had 4 in the person of Tyson Aluau. Impressive. 9.So, can the Steelers get to the Super Bowl? I think they can. Having the bye week makes their chances stronger, but they must win those 2 games to get there. I’m hoping they beat Jacksonville (Revenge game!) in the Divisional Round and then beat the KC Chiefs (provided they beat the Patriots) in the AFC Championship Game. Hey, a man can dream. 10.NFL Wild Card Weekend-My picks for the AFC: Jacksonville beats Buffalo, KC beats Tennessee. In the NFC, LA Rams beat Atlanta and New Orleans beats Carolina. 11.Browns Celebrate. Celebrate what? After finishing 0-16, the Cleveland Browns decided to have a party. That’s insane is all I have to say. You didn’t see the 2008 Detroit Lions celebrating after going 0-16 in 2008. 12.The Raiders are Snakes-Why do I say that? Because they truly are. They had a good coach in Jack Del Rio, who took them to the playoffs last season, but struggled this year. And now they fire him because they want former Raiders Coach Jon Gruden back? This is proof that there truly is no loyalty in sports, period. I feel bad for Del Rio as he was in tears at his final news conference. 13.Will Gruden take the position? Various media outlets say he will, but he hasn’t commented, and I hope he declines it. 14.College Football Championship-I was clod, but I had Clemson facing Georgia, but the Bulldogs got it done in the Rose Bowl, while Clemson couldn’t buy a win vs. Alabama. 15.The Favorite to win? I think it’s Georgia’s year. I was impressed at how they came back to beat Oklahoma in the playoff Semifinal. Plus, their running game is incredible. 16.UCF-After upsetting Auburn in the Peach Bowl, the University of Southern Florida Knights finished the season 13-0, the only undefeated college football team. But they were still ranked only 10th.in the AP Poll. That’s hilarious. 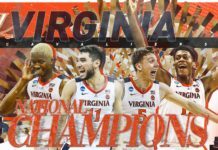 I do give them credit for having a parade with a National Championship Banner. That’s how you do it. 17.NCAA Basketball AP Poll Michigan is #1, followed by Duke, Villanova, Arizona State and Xavier. Impressive. It’s great to have new names in the Top 5. 18.Pitt Basketball-Just awful. The team is about to experience true competition in the Atlantis Coast Conference and they haven’t look too good after losing to Miami and Louisville. After they face Georgia Tech, Duke will come into town. Oh boy. 19.NBA Standings-Boston, Toronto, and Cleveland head the Eastern Conference, while Golden State, Houston and San Antonio head the Western Conference. It’ll be interesting if the Cavs and Warriors get to the Finals again, but it’s a long season. Time will tell. 20.Pirates, Giants talk McCutchen-Well, after the Gerrit Cole-to-the NY Yankees talks fizzled, what else do the Pirates have to do? Great teams talk about acquiring players and then there’s the Pittsburgh Pirates, who talk about trading players. Apparently, they’re talking to the SF Giants about OF Andrew McCutchen. We shall see. 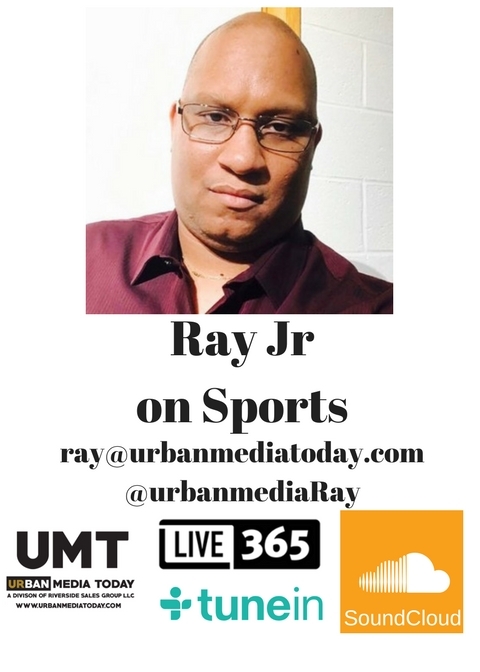 Next articlePittsburgh Legend Graces Urban Media Today Radio with Old School Show!